Sampling is a technique wherein customers are given the opportunity to test and try a particular product before they make a purchase. 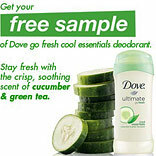 Samples are provided by the brand to its customers free of choice. They can be made available by a number of different ways. Sampling can be initiated across categories of retail. However, it is most commonly used by FMCG companies, cosmetic brands and the food sector. All these markets are very sensitive and people are very cautious of what they buy. All products may not suit people and can cause allergies and they wish to first try and test a product before buying a bigger size variant. And retailers and manufacturers are leveraging this aspect of consumer behaviour to boost their sales. The Sampling technique can be employed in a number of ways. A brand can undertake any particular type of sampling depending on the brand’s philosophies and ideologies. In-store sampling: Under the in-store sampling method, the brand makes the sample product available for customers at the retail outlet. Here they can come, try the product and then make the purchase. Most of the cosmetics brands employ this method. Lakme is one such brand that offers its products, in many stores, for trial by its customers. Door-to-Door sampling: Door-to-door sampling refers to a sampling technique where a customer is provided the samples for products at their door step and they do not have to go anywhere to get the product experience. Mobile sampling is also another technique where mobile vans distribute samples to customers. On-package sampling: On-package sampling refers to offers, wherein a particular product that needs to be publicised is given free with purchase of another product. Usually products that fall under the same category are clubbed together. A very common example is that of getting bathing soaps or face washes with lotions and conditioners with shampoos or hair colour. Garnier shampoo came on offer with Garnier hair colour, sometime back. This method is advantageous for both the brands that are clubbed together. Some perfume stores also give miniature perfume sticks on the purchase of perfumes from their stores. By doing this, they promote other ‘fragrances’ ( and not necessary a brand), which may allure customers. At music stores also, a provision is available for customers to listen to songs/content by playing the CD they want to buy, prior to the purchase. An effective research needs to be carried before putting sampling to use. A pre research helps to strengthen the effectiveness of the sampling process. A targeted research should be carried out with pre-screened customers as that is faster and accurate. These should be done in accordance with using proven research methods and nationally representative samples. Demographic characteristics need to be given due consideration as it enables you to target demographic groups that are important to your business. Another very vital component to be included in research is considering the lifestyle. The lifestyle is a key indicator of consumer’s attitudes and behaviours, which are essential for your products. So if you’re planning to launch a new product in the market, you might want to consider sampling to know what people’s take on your product is. This way it will get easier for you to get the exact feedback from your target audience, helping you to serve them better. The same could be utilised to enhance sales, or re-launch a product and start afresh.